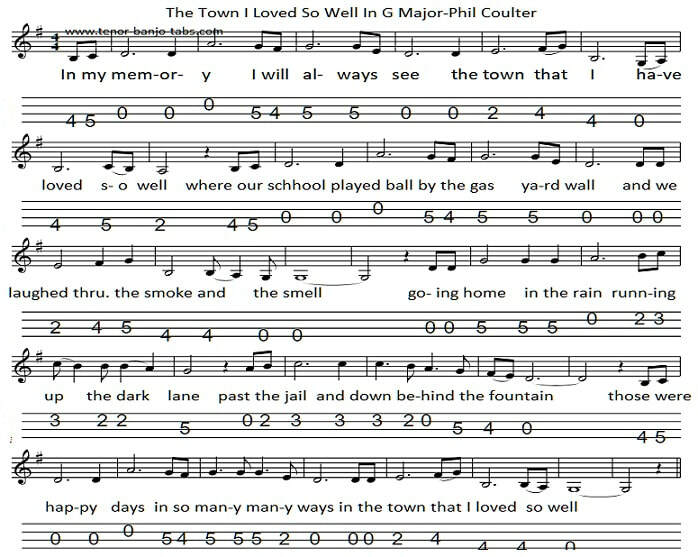 The Town I Loved So Well Mandolin / Banjo Tab[ 4 string tenor ]in the key of D Major with easy letter notes. Words and music by Derry man Phil Coulter. Recorded by The Dubliners. Below is another version of The Town I Loved So Well in the key of G Major. The notes for this version go pretty low, it was hard to find a happy medium as the alternative version I tried for the key of G went way too high.